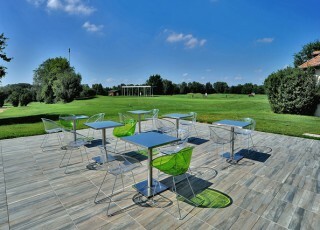 Concrete pavers provide beauty and functionality at an affordable price. There are a lot of choices in terms of design allowing you to exude your creative finesse. But of course, you should take into consideration the concrete pavers cost and the over-all cost of the installation. In choosing a concrete paver for the promenade, driveway, patio, terrace, pool surround, etc, long-term costs involved should also be highly considered. You should decide whether you would go for low cost installation but with the need for extra maintenance, repairs or replacement over a period of time, or for a higher cost of installation but with a lower maintenance cost and offers longer service. Basically, the most important consideration in selecting a type of concrete pavers is the balance between performance, aesthetics, and price. When considering a Landscaping project today, there are so many more design options available than in the past, which allows you to exude your creative flair freely. But of course there is always the limitation of the budget, how much you can spend, how much should you spend, and of course how much will it all cost in the end. When choosing the Paving product for your new driveway, patio, walkway, pool surrounds or courtyard, always take into consideration the long-term costs involved. For example, a cheaper Paver may bring the cost of installation right down, but that particular Paver may need extra maintenance or perhaps it will need repairs or replacement over time. Hence, you should consider not only the installation prices of the Pavers you select, but also consider the life-cycle costs. At the end of the day there must be a balance of aesthetics, performance and the price, when selecting the type of Paver material for your Landscaping project. Let us now compare a few types of materials that are commonly used for Landscaping projects, such as; Bricks and Pavers, Natural Stone Pavers, Stamped and Colored Concrete, Concrete and Asphalt. We will consider the initial installation costs and the long term maintenance costs involved, so as to get an estimate of the overall costs of the project at hand. The following is a comparison among a few types of materials and the concrete pavers cost. The initial installation costs and the long term maintenance costs are also considered to get an estimate of the overall costs of the project. Our Concrete Pavers are also a man made product, and they tend to be priced between $2-$5 per sq/ft. The concrete pavers cost is cheaper than that of other products, but future maintenance costs should be considered. This is a reasonable price, particularly when compared to the price of Natural Stone Pavers; however future maintenance costs must be considered. They can be installed for approx $6-$10 per sq/ft. The benefit of these materials is the color, shape, size and pattern opportunities available to you. 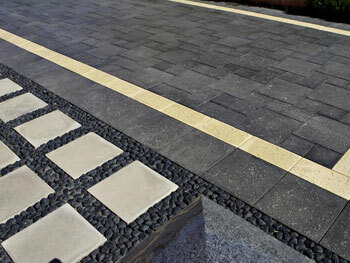 Porcelain Pavers can cost anywhere between $7-$9 per sq/ft. 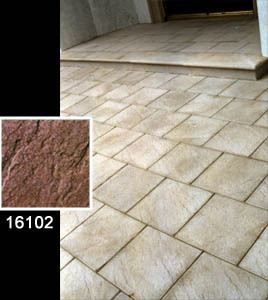 Porcelain Pavers estimated cost of installation is around $5-$10 per sq/ft deepening on pedestal mounted or sand set. The maintenance costs are not too high, for you really only need to wash your pavers every year or so. Porcelain Pavers are extremely durable and will last a lifetime. Brick Pavers can cost anywhere from .50 cents each, or between $5-$15 per sq/ft. Brick Pavers estimated cost of installation is around $10-$20 per sq/ft. The maintenance costs are not too high, for you really only need to wash and seal your pavers every year or so. Bricks and Pavers are extremely durable and will last a lifetime. Natural Stone Pavers will definitely have a higher initial cost. They are not manufactured; they are naturally formed and quarried stone, cut to size. On average you may pay $10-$30 per sq/ft for installation, depending on the type of stone you choose, the rarer the stone the more expensive. They can be installed for approx $10-$25 per sq/ft. Also the installation costs may be higher than other materials, because Natural Stone Pavers are generally laid one by one, which is labor intensive and time consuming. The traditional old Poured Concrete is a durable material and quite cheap at about $5 a square meter, due to its quick and easy installation. Add a bit more if you want it colored. The consideration with Poured Concrete is cracking, particularly in the northern climates, and color fading. Therefore the maintenance costs can potentially be very high, especially if the slab cracks in the first year. Poured Concrete also needs to be regularly cleaned and sealed, for if not, stains will be very hard to remove. Stamped Concrete has the durability of traditional Poured Concrete, with the added benefits of colors and patterns, creating a more eye-pleasing addition to your landscape. 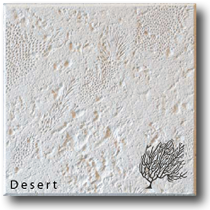 The price ranged from $5 to about $20 per sq/ft, depending on the design and patterns you select for your project. The reason for the low price is that concrete is much faster to install than say, Natural Stone Pavers. Stamped and Colored Concrete needs to be cleaned and sealed to maintain its color and prevent staining. If a regular maintenance routine is not carried out your Stamped Concrete may crack, fade and stain considerably. If installed correctly, and maintained appropriately, it will last a lifetime.